Luckily, after 77 hours the fire in Israel’s Carmel Mountains has been contained. Of course this is great news, but now is the time when Israel needs support the most. The aftermath of of this catastrophe requires a serious commitment to re-building Israel’s forests. Israel takes great pride in being the only country on earth which has had a net increase in its number of trees over the past half century. As someone who spent time at the University of Haifa living in the beauty of the Carmel, it is the nature of the area that makes me miss being there the most. As I spent my days studying Hebrew, taking Israel film and history courses, and eating borekas, my favorite part of the day was my view of the Carmel as I walked from my dorm to my classes. On a good day, I would go jogging in the mountains with my German exchange student friend. I certainly could not go running in the mountain forests in Boston! It is heartbreaking to see the burned trees and flames in place of this beauty that I remember. My friends in Haifa tell me that it is just very sad to look outside, and to see the mountains ablaze with fire. Forests can take decades to re-build, and millions of dollars are needed to fund this. The young adult community in Boston is ready to take action, beginning with a fundraiser through CJP’s Young Leadership Division this Thursday evening (12/9) at 6:30pm, location TBD. There are hundreds of Birthright alumni living in the Boston area who have beautiful photos and fond memories of Northern Israel, and now is the time for them to remember these experiences and think about how they can help out. There are many things we as the young adult community in Boston can do, including attending this Thursday’s fundraiser, fundraising on our own, and just simply getting out the message to friends and families about this crisis. This disaster has not been broadcast hardly as much as it could have been, and we can help change that. 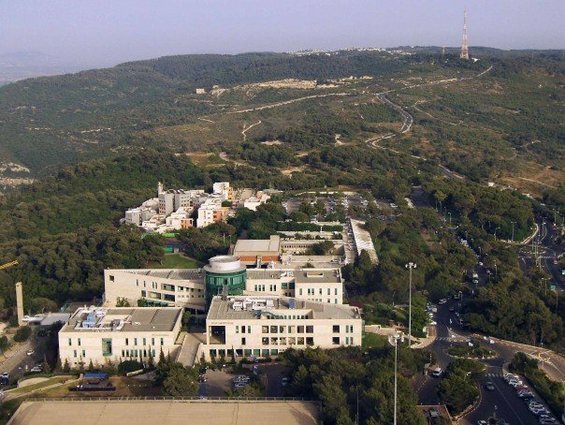 The photo in this post is a view of the University of Haifa that lies at the top of the Carmel. The campus is currently evacuated.